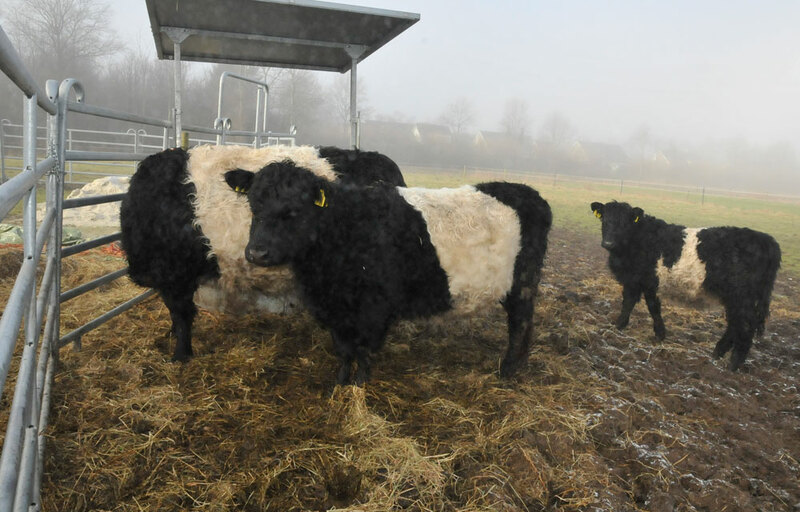 I had never heard about the stripy Barbet cows before. See how hairy they are, eyes looking out from under the bangs. 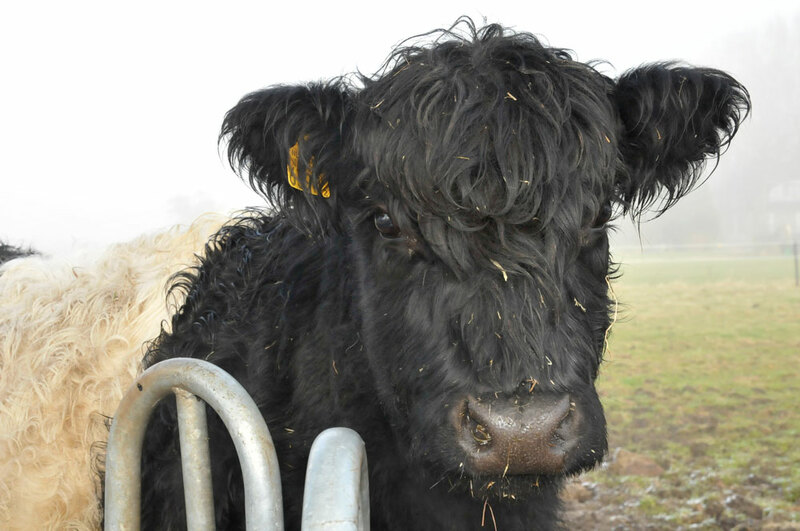 These cows are of Scottish origin and the family we visited this past weekend, in Groeningen in the north of Holland, keep them as pets. Not in the house any longer (they enlarged the house some years ago and turned the stables into a living room!) but on an enclosed field on the premises, just outside the kitchen window. 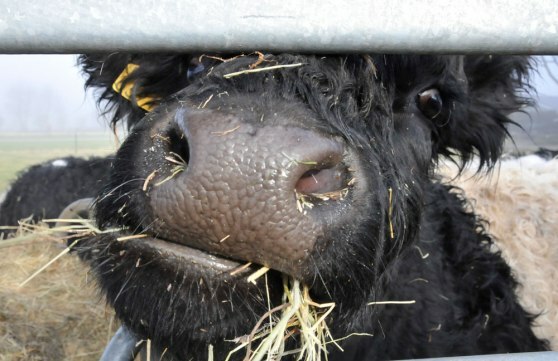 They do not even milk them - just enjoy their company and their beautiful appearance. 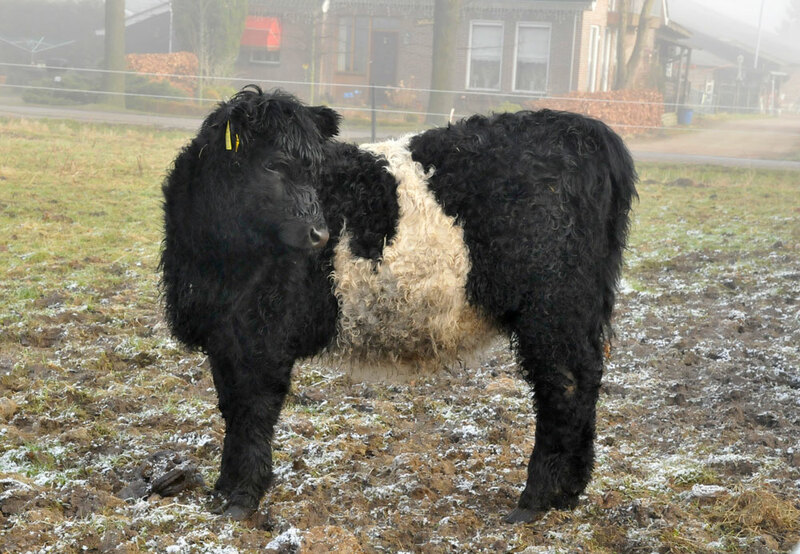 And just as beloved children have many names so do these Belted Galloway cows: police car cows, panda cows and Oreo cows, and now also - Barbet cows! Reply with a comment if you know the answer: WHO IS the Barbet cow and WHO is the dog? Als de koe de camera maar niet opeet, of aan stoot, dan zou de foto mislukt zijn, want de foto is top!